CooperarPeru | (Español) ¿Qué hacemos? 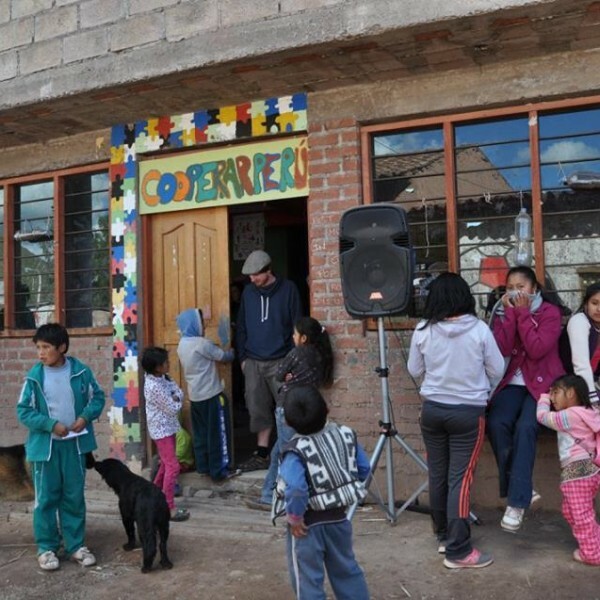 The organization CooperarPeru opened the school center in April 2011 in the community of Tankarpata and since then, we receivechildren aged from 3 to 15 years old. We started with 12 children and we now have more than 50 children registered in our school. With the support and donations of many volunteers, we built a library. In that manner, the older children can do their homeworks, having the opportunity to consult dictionaries, history books and encyclopedia, while at the same time, the youngest children are reading. Besides our library, we have a room that we call “the lounge” in which we organize activities, working group sessions, campaigns, theatre, dance, meetings and more. Support and academic reinforcement: this space is created in order to avoid academic failure, to try to reduce the lack of attention and to improve academic performance and methods of study of children. This is a project which combines academic and social aspects, since it is an area where children can personally develop through various dynamics and activities. Revision and educational strengthening support in the academic homework, teaching languages, handicrafts and other creative activities, in the open, games and group dynamics. Building habits of hygiene: everyday, children have a special area in the Support Center to be able to wash their teeth and their hands. Every Monday, we help children to cut their nails. Sometimes, there is a time for washing their hair or for nitpicking. Direct aid to families with specific problematic regarding Health: intervention at home and accompaniment to different institutions. Reunion with families: area in which different problems are treated with families. Mothers can also share their concerns regarding family education and other topics. Psychological work with children and families: we work with children with various working group activities while with parents, we organize reunions and visits at home. 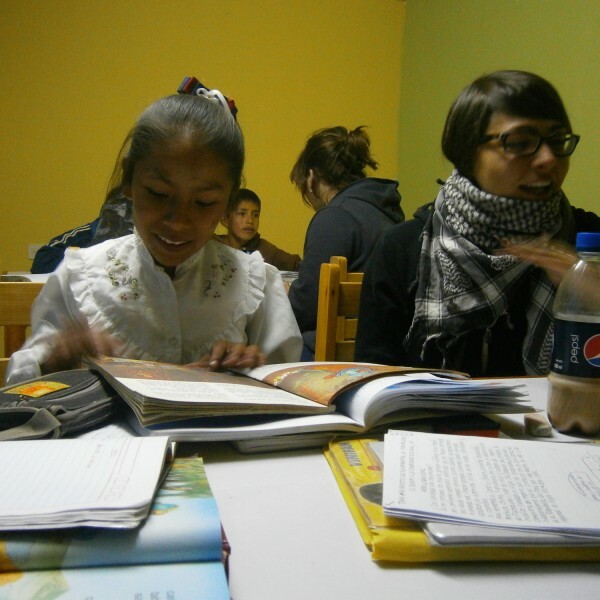 Working with institutions: our organization made contact with different institutions (Cusco Medical Assistance) and organizations (ONG Amauta, ONG Cenprodic, Misión Quechua, Enigma Perú) in order to obtain basic things for the community development. Between different things, the most important are services of collecting trash and access to drinking water. Every year, children are the first to suffer from the cold during the winter. That is why we organize a donation of warm clothes. Selling clothes for a very affordable price in order to involve the community in raising funds to cover the health and education of their children. According to the profile of our beneficiaries (mothers and youth0; organize workshops of ceramic, jewelry, weaving, bakery, pastry, languages or computer. Creation of trash bins, organization of public collection of trash, raising awareness on environment protection and recycling not only for personal use, but to find more resources for the whole community. Buy more computes so the kids could learn not only how to use it for personal purposes, but also as a working tool in the future, learn how to use different software and enjoy various development games. Create a space for the little kids, where they can learn through playing, develop motility, psychomotor, learn how to walk. 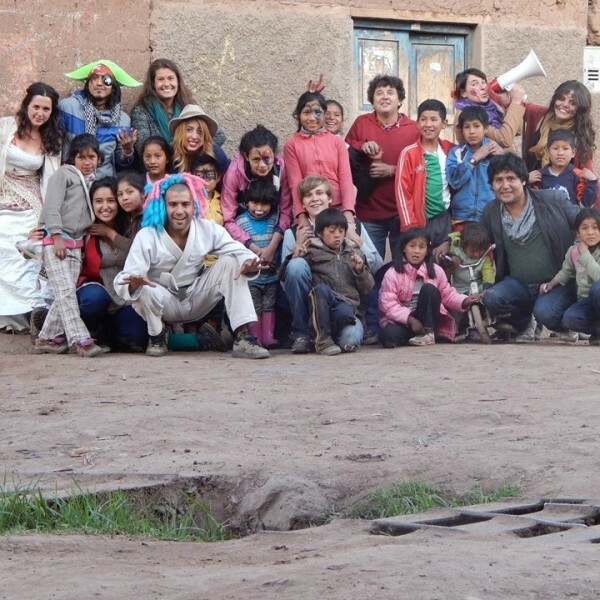 It would be great to have patrons, who could help us to solve community problems and extreme poverty, which nowadays whips out Andean communities. Can we count on you? our hostel for volunteers and travelers, which help us sustain our organization. La Caja Mágica, La Caja Mágica is a hostel where you will find much joy. It is like a box of colourful toys and good memories. Each room has different themes, from the magical hall to the bathrooms. 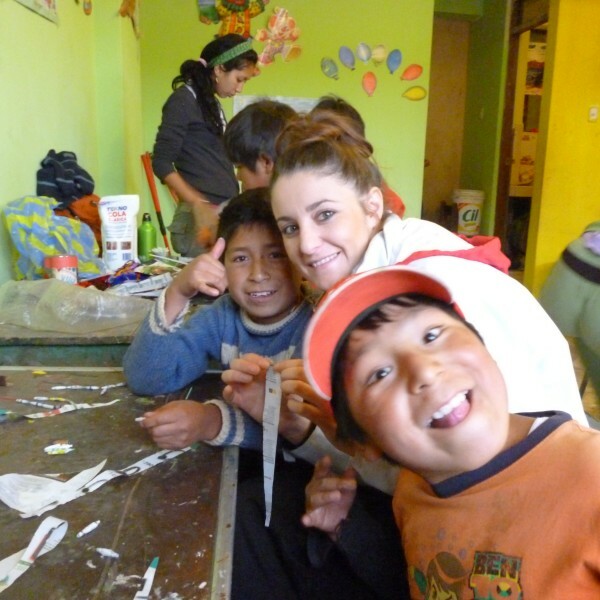 The whole house is a vivid place where everything is alive and where you can enjoy your stay in Cusco and help support the project CooperarPeru in Tankarpata and fulfill the dreams of children. La Caja Mágica has rooms for 2, 4, 6 & 8 people, the prices vary between 20 to 27 soles per night!